Travelling is an enjoyable yet tiring activity. It is no wonder that we often fight the urge to fall asleep during flights, long or short. A restful nap will do you some good when you are travelling but a painful or stiff neck and an equally painful lower back will likely be a downside to that nap. Travel pillows come in handy when looking to enjoy a good nap during your flight while keeping all the aches and pains that may result from a poor sleeping posture at bay. While packing we tend to overlook the inclusion of a travel pillow within our luggage. Thanks to technological advancements in the world of manufacturing and the growing competition within the travel pillow industry, there are now multiple compact options to choose from. However, with the growing number of choices comes a growing confusion in terms of what works and what doesn’t work for a comfortable airplane nap. Pain Relief: Travel pillows help to improve the overall posture of your body as you fall asleep in a seated position. By providing support to the head and neck as you sleep, they keep you from straining your neck and back allowing you to achieve pain free sleep. Comfort: Sleeping when seated in an upright position can be rather uncomfortable. Travel pillows help to bridge the gap between the head and the shoulders allowing you to be comfortable no matter which side your head falls. Improves Breathing: By offering the necessary support to your head and neck and by ensuring that your head remains in place even as you doze off on a flight, travel pillows help to keep the airway open. This in turn allows you to breathe better as you sleep. It also helps to reduce snoring occurrences as well as sleep apnoea episodes. Travelling is arguably good for the mind and soul. Long hours of travel, regardless of the mode of travel, can however do a number on your body. 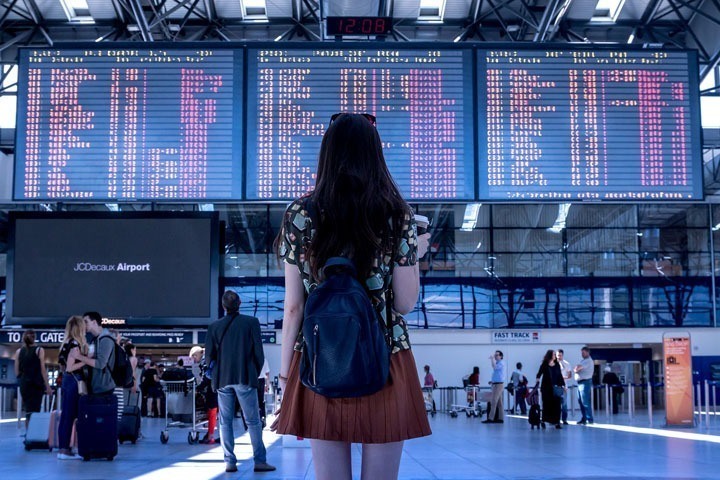 Apart from the fatigue that comes with being on the road for a long time or with long flights, you are bound to experience aches and pains due to the effects of travelling on your body posture. A survey by Spine Universe ​showed that when travelling by air, people often complained of neck and back pains. This was attributed to the poor lumbar and neck support provided by the seats. This neck and back pain phenomenon is replicated when you travel by road or rail. Car, bus or train seats can tend to be uncomfortable. This forces you to keep shifting positions in order to arrive at a comfortable one. The result of all this twisting, turning and adjusting is the unnecessary strain and stress on your neck muscles, spine and back muscles. Having a travel pillow during your flight will come in handy in both improving your comfort and reducing the strain. By providing ample support to your neck, these airplane pillows help to improve your head, neck and spine alignment. This in turn keeps from causing unnecessary strain to your neck muscles as well as your upper back body and thus keeps the aches and pains at bay. This is more so if you have the tendency to fall asleep as you travel. They can also double up as back support especially if travelling for long distances. Having one pillow for your back and another for your neck will go into improving your overall body posture and keeping you from straining both your upper and lower back body. Travel pillows differ in shape, size and material. When it comes to shapes, U-shaped travel pillows are perhaps the most common type of pillows that you will find. While they may be comfortable and effective at providing support to the back and either side of the neck, their major down fall is the lack of support on the front side of the neck. The J-shaped pillows are an improvement of their U-shaped counterparts as they include chin support in their design. 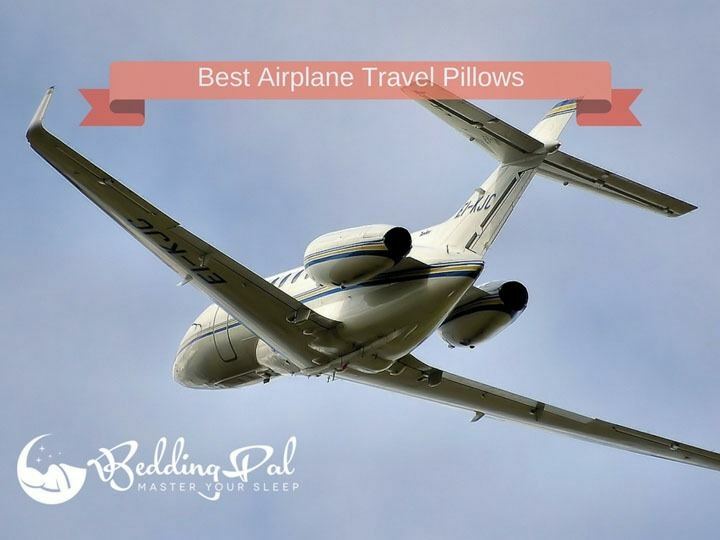 Other travel pillow shapes include the wedge shaped pillows, rectangular pillows, cylindrical pillows, collar pillows, travel rest, wrap-around pillows and sky rest. Another way in which travel pillows are categorized is along the lines of the filling material of choice. The commonly used fillings for travel pillows are memory foam, polyfiber or good old air. Memory foam pillows are preferred for their sturdy support and comfort while inflatable pillows are preferred for their space friendly design, adjustability and ease of use. Polyfiber pillows, on the other hand, are preferred for their durability and ease of maintenance as they can be easily cleaned and dried. Comfort: Different people have different pillow needs. This is true for travel pillows as well. The level of comfort you derive from a travel pillow will be determined by the shape, fill, material and firmness of the pillow. Be sure to choose one that has the right shape, fill and firmness to offer the necessary support and the right material on the outside to keep you comfortable. How You Sleep: This, like with any other pillow consideration, is an important determinant of the type of travel pillow you buy. If you tend to roll your head forward when you are seated in an upright position then a J-shaped pillow or a wrap-around pillow would be best suited for you. If your biggest concern is constantly moving your head from one side to the other then a U-shaped pillow or a wrap-around may work best for you. Size and weight: The size of the pillow will not only determine the amount of space that it takes up in your luggage, it will determine how comfortable you will be using it. A bulky pillow both in terms of size and weight will prove difficult and cumbersome to use affecting your comfort and thus defeating its purpose in the first place. It will also add weight to the shoulders causing unnecessary strain to your neck, shoulders and upper back body. Support: The primary purpose of a travel pillow is to offer support to your head and neck and improve your overall body posture. When considering purchasing such a pillow, consider its fill and firmness as these are the key determining factors of the support you receive. Inflatable pillows are best suited for long haul flights that may require you to adjust the firmness of the pillow in order to improve your comfort and the pillow’s effectiveness. The Versatility of Use: A travel pillow purchase can be considered as a long term investment. In order to get the most out of it, ensure that it is a pillow that is compatible with road and, or rail travels as well as air travel. Travel pillows are an essential part of any traveller's life. Without them, long trips that would otherwise be enjoyable and fulfilling may end up resulting in soreness and pain all through the body. Investing in a good travel pillow has the potential to significantly improve your travel experiences. Choosing the best one for your needs can, however, be a rather tricky affair and understandably so. To ease the confusion that comes with sifting through the numerous choices presented in today’s market space; here is a short review of some of the best sellers. Cabeau is a brand that you can trust. Its evolution memory foam travel pillow lives up to the brand’s reputation of quality, hence its inclusion in this guide. Though it may seem like a regular U-shaped pillow at first glance, it has much more going on in terms of design and functionality. Its unique design is such that your head receives ample support from all directions. The use of memory foam as the filling of choice adds to the pillow’s ability to provide adequate support. The use of memory foam also helps to improve the user’s comfort. This is because memory foam is known for its ability to conform to the natural contours of the head and neck and is effective at weight and pressure redistribution throughout the pillow. To add to the pillow’s comfort, the manufacturers have made use of soft velour as the material of choice for the removable outer cover. The removable cover makes it easy to clean and maintain this pillow. A storage bag is provided for users in order to make it easy to include this pillow in your luggage. It can easily be compressed to a quarter of its original size for easy packing. What’s more, should you find this pillow to be dissatisfactory in any way you have the option of taking advantage of the manufacturer’s money back guarantee. The versatility and ease of use is what earns the BCOZZY chin supporting travel pillow a spot on this guide. This pillow works by wrapping itself around your neck to ensure all round head and neck support. What makes it particularly useful is its ability to effectively support the chin. This feature is especially helpful to people who let their heads fall forward as they sleep. Another impressive thing about this pillow is that it is available in kids and adult sizes. It is designed in such a way that the back is not too thick and, therefore does not force your head forward in an unnatural and uncomfortable neck position. Another plus is the ability to adjust it to the desired height and position by playing around with the overlapping ends. This pillow is easy to maintain as it can be machine washed. To make it easy to carry, the manufacturers included a snap strap that can be used to attach the pillow to the rest of your luggage. Its compressibility is also an added advantage where portability is involved. The Ultimate Travel Pillow by Travelrest has a lot going for it. From its unique design, versatility of use to its ease of use, the Travelrest Ultimate Travel Pillow is a must-mention in this guide. The elongated comma shape of this pillow makes it possible for it to offer support to the entire torso and not just the head and neck. Thanks to its all round support, it can be used as a travel pillow as well as for comfort and posture improving purposes while in the office or in the home. Its ergonomic design, coupled with the fact that it is inflatable and thus easily adjustable makes it a rather comfortable pillow. The fact that you can easily deflate it makes it easy to carry. It consumes a lot less space in its deflated state and can, therefore, easily fit into your carry-on bag. It comes with a two year warranty. Comfort is not the only thing that we long for when we travel. That peace and quiet and the ability to enjoy the scenery as well as to nap in peace is something most people enjoy when travelling. The Aeris travel pillow helps you achieve these things and hence its inclusion in the guide. Not only is it comfortable and supportive, this pillow comes with memory foam ear plugs and an eye mask that work to keep the noise and light out when looking to take a nap during your trip. Its U-shaped design is useful for providing support to the back and either side of your neck. The use of memory foam as the filling of choice adds to its ability to provide support and comfort to its users. The manufacturers of this pillow understand that different people have different pillow needs. In an attempt to accommodate everyone’s needs, they have incorporated toggles into the design to make it easier to adjust its grip on the neck and to keep it in place. It can be easily compressed into a small storage bag making it easy to carry around. Its light weight also adds to its ease of use. The Everlasting Comfort 100% Pure Memory foam pillow has earned place in this guide due to its ability to provide comfort and support to its users. This pillow combines the comfort and supportive features of memory foam with a unique raised design in order to live up to its name and provide lasting comfort. Its raised sides come in handy in offering the much needed neck support and consequently comfort. It is, therefore, a suitable pillow for those who travel often and for long distances. Apart from memory foam, this pillow gains its comfort from the use of plush velour, removable outer cover. This outer cover is machine wash friendly and can be easily removed and replaced as needed thanks to the zipper. A major plus to this pillow is the fact that it features an elastic pocket within which you can put your phone or iPod and enjoy your entertainment of choice as you sleep. It also comes with an eye mask and ear plugs to help make your nap as comfortable and peaceful as possible. It also comes with a life time replacement guarantee. The AirComfy Inflatable Travel Pillow has been included in this guide because of its ease of use and its ability to provide the much needed support and comfort. This inflatable pillow is also space friendly. When deflated, it can be folded up to occupy a very small amount of space in your luggage. The weight contributions of this pillow whether in its inflated or deflated form is negligible. Here, users have the flexibility to adjust the pillow’s firmness. This pillow is designed to work for travellers who tend to sweat a lot or are travelling during the hotter seasons. The fabric used in the outside helps users to stay cool and avoid sweating. Style and comfort are two things that go hand in hand. The Trtl pillow has perfected the art of merging these two concepts thus earning a mention on this guide. Just by looking at it, you will hardly be able to tell that it is a pillow. It looks like a chunky scarf that would be worn on a chilly morning. Its design makes use of fleece that is soft and warm and a neck support to provide users with that a stylish yet comfortable way of supporting your head and neck. To secure it into place and keep it from moving about as you enjoy your nap, the manufacturers have made use of Velcro. To add to its comfort, its ribs are made to be rather flexible. It is light in weight and easy to carry. Travel pillows help to enhance our comfort whenever we embark on a journey; be it via road, rail or air. These pillows are great for providing both neck and lumbar support. It is not uncommon to be overcome with the urge to fall asleep as you pass time on your flight. 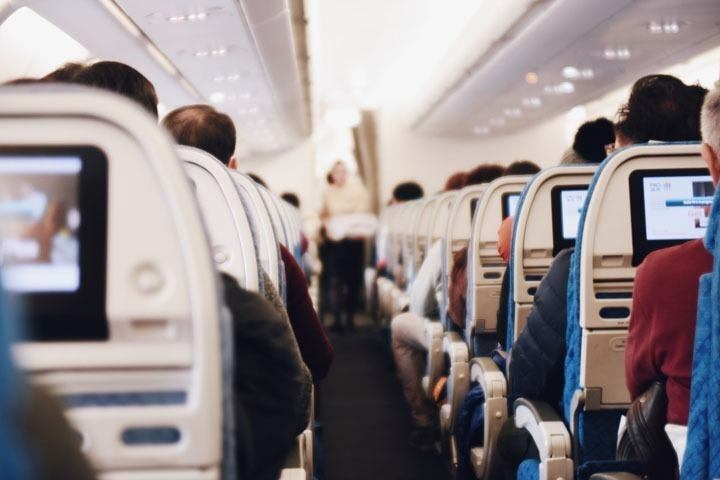 While there are many people who have no trouble falling asleep on a flight, a good number will tend to complain about neck and back pains after doing so. The seats on the flight are designed to be sat on but not for one to fall asleep for long duration of time. Having a good travel pillow is therefore something that will do much good in improving your overall body posture as well as a comfort. Be sure to pick a pillow that is not only within your budget range but one that provides you with the support and care that you need.